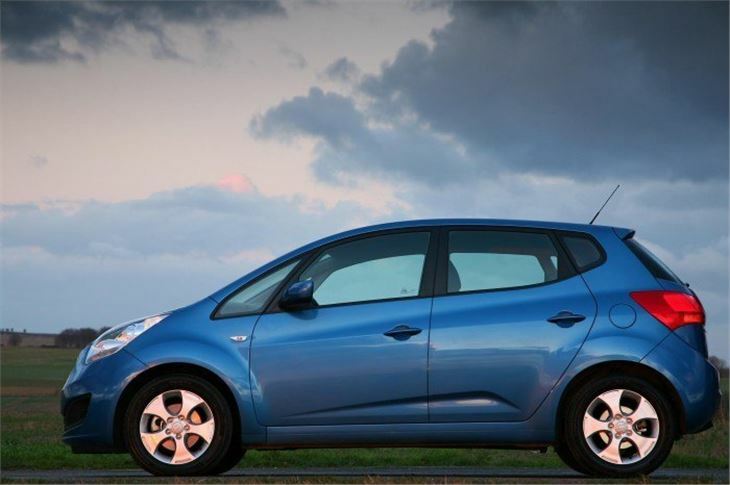 It’s not enough to build yet another small hatchback these days and expect it to sell. 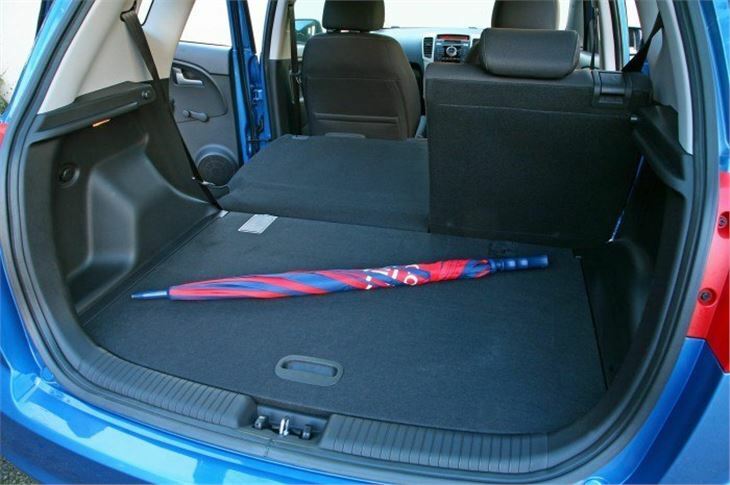 Especially if your partner company already covers that section of the market with the excellent Hyundai i20. 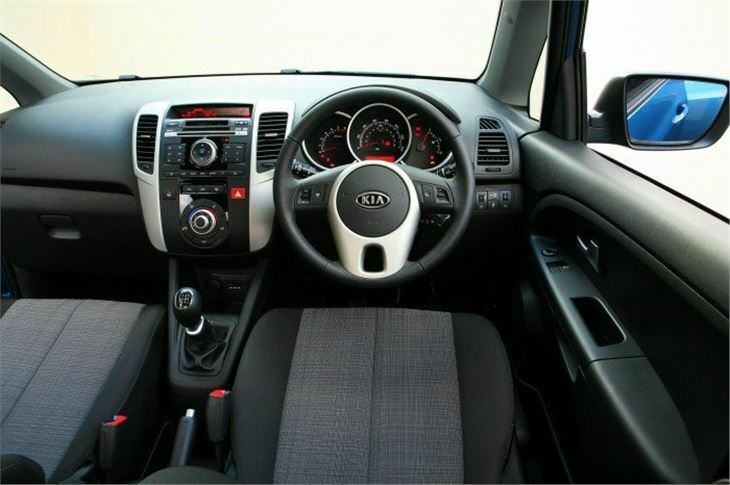 So, wisely, for the Venga, KIA opted for the small and tall approach. 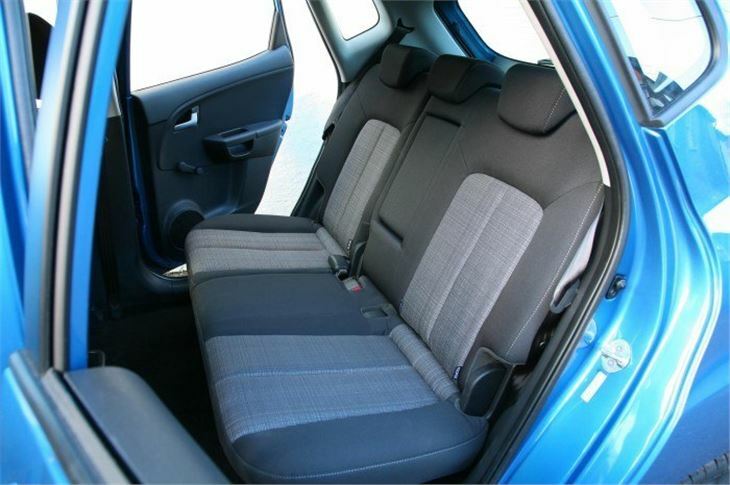 A design that provides comfortable, easily accessed upright seats, excellent luggage capacity and a flat load floor in a car just 13’ 6” long. It’s not cheap, with prices starting at £11,495 and rising to £15,395. We can blame Mr Brown’s economic policies and a 30% devaluation of Sterling for that. A cost that importers can no longer absorb. But, since everything else is starting to reflect that, it’s what marketing people call “competitive” against other cars in its class. Very competitive indeed when you consider that KIA gives you four more years warranty than most of them. And peace of mind for what is effectively, the 7 year life of the car. (Many owners will, of course stretch that considerably longer). 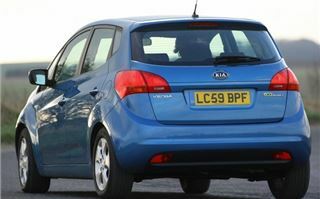 KIA has sensibly restricted the range of chain cam petrol and diesel engines to just three, and given the 4-speed torque converter automatic version the most powerful. You can go for 60mpg economy and £35/£30 tax with the EcoDynamics diesel from a reasonable £12,795, including stop-start. 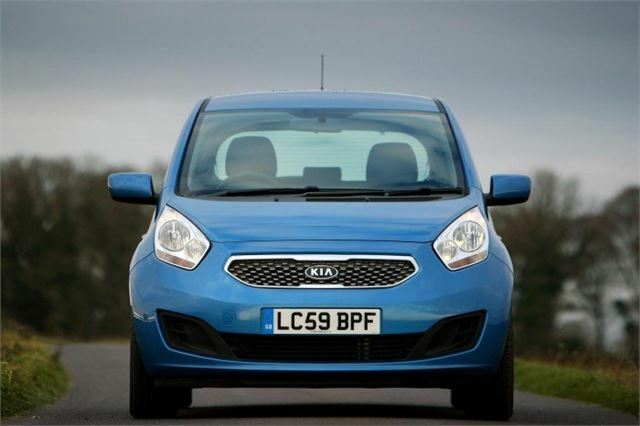 Opt for a lower purchase price, less mpg, more tax with the 1.4 petrol from £11,495. 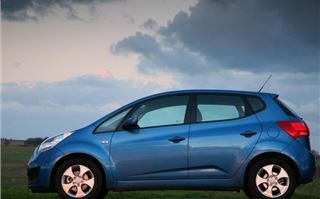 Or forget ultimate frugality and choose the 1.6 petrol auto that should still give you 40mpg on a run. The first impression from the driver’s seat is excellent visibility. Big quarterlights between the slim A pillars mean nothing is obscured. Windows in the D pillars help with reversing. The mirrors are good, too. Deep rather than wide so useful for reverse parking against kerbs without crunching your wheel rims. The steering has the right amount of feel: light but not too light. The controls all fall easily to hand and finger. The upright seats are very comfortable, front and back. 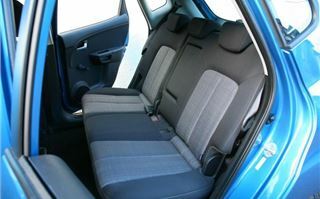 The back seats slide and recline as well as folding flat 60/40 each in one easy movement. That leaves a flat load area floor, like the Jazz and the Note (and unlike the Fiesta). Under the rear section there’s extra storage, and under that a space-saver spare wheel in a deep well that could easily accommodate a full size spare. Trim levels are simply graded Venga 1, Venga 2 and Venga 3, buy even the Venga 1 comes with standard air conditioning, drivers seat height adjustment, height and reach adjustable steering wheel, electric front windows, remote central locking, tinted glass, 60/40 split fold flat sliding rear seats, Radio/CD.mp3 player, Aux and USB sockets. In shot, plenty of kit. 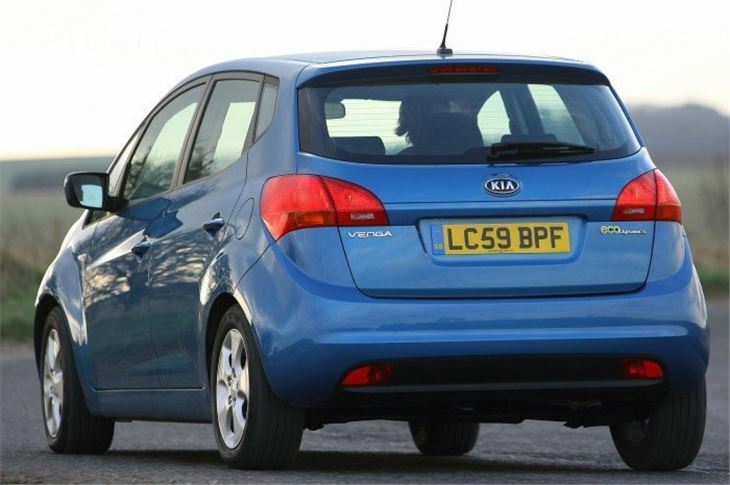 Stroll up to a Venga 2 and you get 16” alloy wheels, electric door mirrors and steering wheel mounted audio controls. 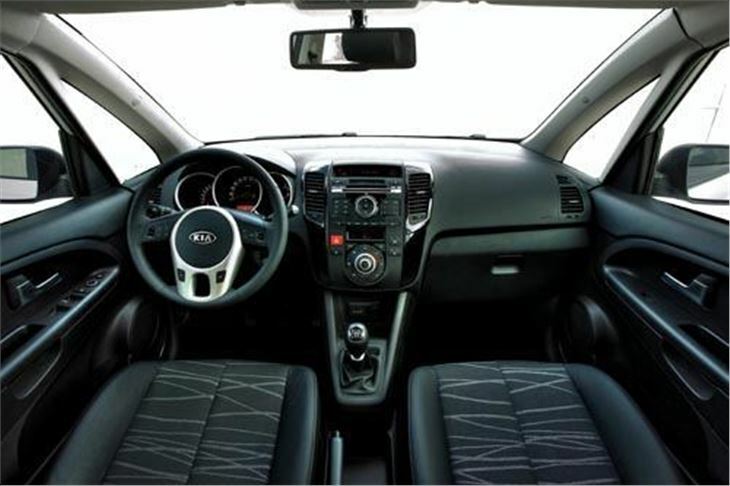 While a Venga 3 offers climate control air conditioning, rear electric windows, front foglamps, rear privacy glass and a panoramic electric sunroof. You can go for cheap purchase price with the 1.4 Venga 1 petrol, ultimate economy with the 1.4 Venga 1 diesel, but I suspect a lot of customers will go for the well priced 1.6 Venga 2 automatic, not least because, Like the Nissan Note, it comes with a proper 4-speed torque converter automatic box rather than an automated manual. The car is actually made in the Hyundai factory (the newest car factory in the world) in the Czech Republic, 50 kilometres from the KIA factory in Slovakia that builds the cee’d, Sportage and new Hyundai ix30. Quality is so good that KIA offers a 7 year fully transferable warranty on the car, something neither Honda nor Nissan, nor Toyota, not anyone else are prepared to risk. And that’s a real clincher. You might be considering a Jazz or a Note or a Yaris, but the warranty on all of these is less than half as long, a full four years shorter.